The changelog didn’t say much, but iOS 12.1.3 turned out to be a bigger deal for me on the iPhone and iPad both. It should for you as well. I’ve been a long time user of the iPhone. In fact, I jumped onto the iOS bandwagon when the iPhone 4 was nearly ending its lifecycle and I never turned back, subsequently upgrading to every year to the latest and great from Apple. Fanboy alert. But, the carrier I have been using on my iPhone had a problem which not a lot had – the cellular connection (data and voice both) would go absolutely dead, forcing me to either restart my phone or do the old airplane mode toggle trick. Funny enough, the problem did not recreate itself on any other local carrier at all. It almost felt like the problem originated from the carrier only, no one else. Whether it was 3G or 4G LTE, the problem remained. Even on the iPhone XS, iPhone XS Max and iPhone XR, nothing changed. Surprisingly, the issue was even worse if you had the physical dual SIM model of the iPhone XS Max or iPhone XR. Carriers such as Virgin Mobile or Etisalat in the UAE had the exact same issues, with cellular service completely dropping out even with full bars of LTE. 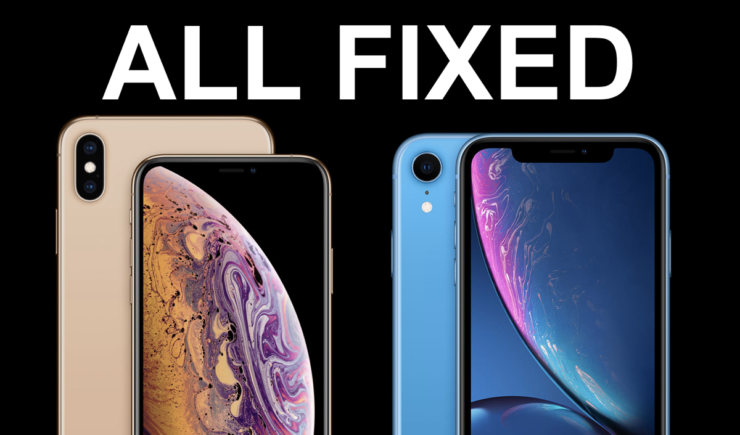 In one instance, a customer was even told that the problem originates from Apple’s ‘China model’ of the iPhone and the carrier was running in proper ‘error free’ capacity. It was also suggested that the eSIM model, and the previous ones before it had no issues with the carrier at all. Ever since Apple released iOS 12.1.3, all of the above mentioned issues are long gone. Every single iPhone model I had at home, I popped in the SIM card and everything has been resolved as if by magic. But wait, it gets better too. I had the exact same issue on my cellular iPad, and it has been fixed as well. Keep in mind I was using the same carrier on my iPad which I was on my iPhone. What I’m trying to say here is: whatever Apple did with iOS 12.1.3 turned out to be a bigger deal (at least for me) in the cellular department. Whether it has something to do with Apple switching to Intel’s modem, carriers tuning itself for the iPhone, or Apple changing the way it handles cellular data, we’ll probably never know. But what I do know is this: it’s something which Apple should have mentioned in the iOS 12.1.3 changelog but it did not for some reason. And in case you’re wondering, my carrier did not change anything from its backend either. It still sits at version 35.0 (check from Settings > General > About > Carrier Version) and has been like that for a long time. If you are facing issues related to cellular connectivity, then I highly recommend that you give iOS 12.1.3 a shot right now. Who knows it actually might do wonders for you as well.